Our compact and visually appealing unit houses everything you need. Beautiful LED lighting, your iPad Pro 10.5"* and power to keep the selfies flowing all day. With our thin and lightweight design, Hello Booth can be moved to anywhere in your business or kept permanently in one spot. 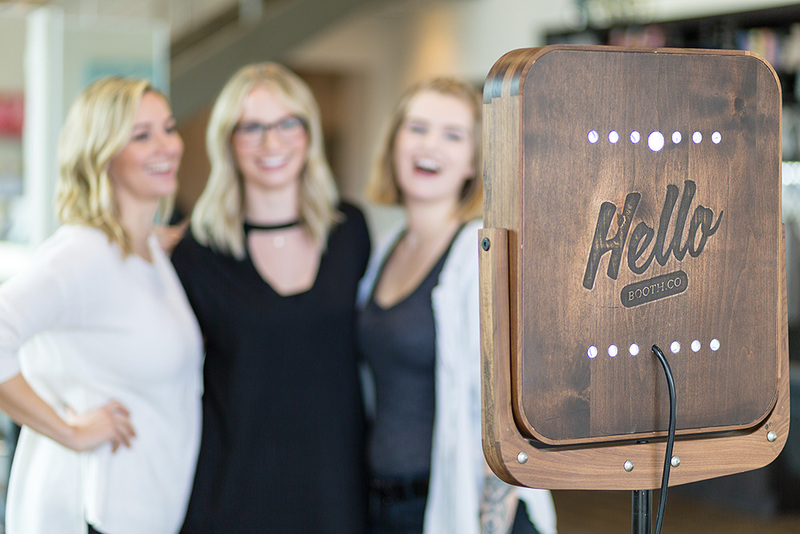 You can even choose between Hello Booth on a stand or wall mounted for the perfect selfie station. Our intuitive software is easy to set up and customize for you and then a breeze for your customers to start snapping pics and posting on Instagram and Facebook. Hello Booth pairs high quality wood, stainless steel and perfect LED lighting with precise workmanship to create a tool that both guests and staff can use to effortlessly promote your brand on their social media. By instantly sharing photos of themselves with your custom hashtags and logo overlay, you will see an immediate impact to your marketing efforts bottom line. Don't leave your social media to chance. Provide an easy, fun way to fill up Instagram with photos from your customers and guests. After you purchase your Hello Booth, simply subscribe to one of our monthly subscriptions that powers the text message distribution and hosting of your personal business gallery. Each plan also includes all the custom features designed to white label your Hello Booth images with custom logo overlays and hashtags. 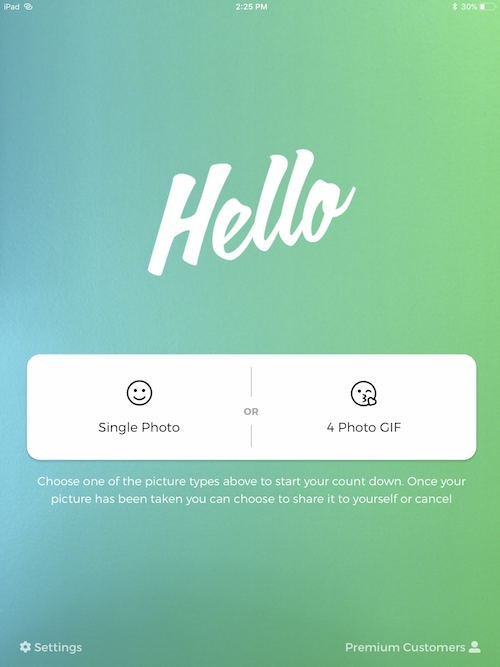 And we are always making the Hello Booth app better. Our goal is to provide you with the most intuitive, easy to use software available. Our dedicated team of developers are constantly adding new features and love to hear suggestions of what can make Hello Booth even stronger for business' and brands. Having customers and guests promote your business on their own social media channels is a dream come true and now it's not just easy to do so, you won't be able to keep them away from Hello Booth. They simply walk up, type in their phone number or email, hit GO and Hello Booth does the rest. With flattering LED lighting and either one pic or a GIF, your customers picture will be transported to their phones to upload to Instagram and Facebook. The pics also go to your custom business gallery, where you choose which photos go to your own social media channels.